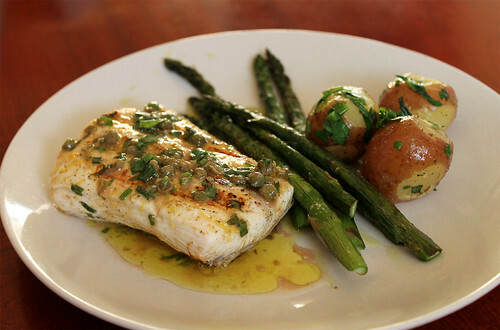 The best way to do justice to a good piece of fish is to keep it simple. I like to let the fish speak for itself. 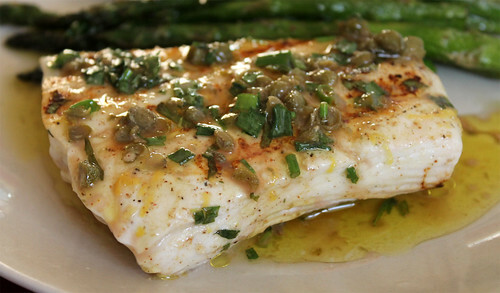 I grilled off the piece of halibut and served it with a light and refreshing herb and caper vinaigrette. 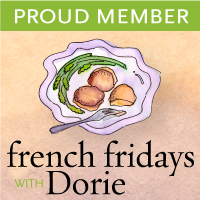 Roasted asparagus and boiled new potatoes tossed with butter and herbs rounded out the meal. This dish is easy enough to make on a busy weeknight, yet elegant enough to impress your friends for a casual dinner party on the weekend! The recipe, originally printed in the 2010 Early Summer issue of Food & Drink magazine, can be found here.